Herb garden is more popular these days because it will produce fresher medicinal herbs which have more flavour than those bought in a store. It is also cheaper and more convenient to have one at home. It can be indoor gardening as well as outdoor gardening. Therefore starting a herb and vegetable garden is a wise decision. Herbs have practical as well as medicinal values and they serve a good purpose because with herb home garden you can use your plants for your own purpose whether culinary or medicinally. They can also look and smell good in whatever area they are placed. They are also grown for their pleasant aroma and their beauty in this garden. Therefore, growing medicinal herbs in your garden can be very beneficial in all cases. A person can store dry herbs taken from this garden during the winter for easy access in cooking and medicinal uses. The process of drying herbs is to cut off the top of the leafy herbs. This must be followed by washing them then hang them up for the water to drain. After which, tie the stems together and put in a paper bag and hang to dry. After three weeks, remove from paper bag, crumple the leaves, dry them in an oven and then store in a glass jar. One of the most common herbs grown among garden plants is basil, also known as sweet basil, dark opal basil and green basil are beautiful additions to any garden and often used as decoration. Dark opal has light pink flowers and dark red leaves. Basil has culinary and medicinally properties as well. Chives are also good herbs for this garden and they are named among the edible plants. They are very petite looking and resemble a blade of grass. They are much stronger than they look, and they will grow well throughout a drought season. Their toughness and sturdiness make these herbs perfect plants for herb gardening. Chives are useful in salads, egg dishes, and many different sauces. Mint is also very simple and easy to grow in this garden. It is good to use in mint jelly, mint juleps, lemonade, and any other kind of fruity drink. 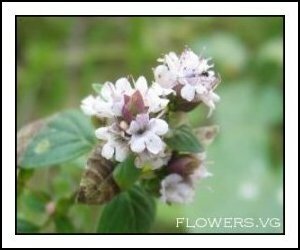 It is also good in herb gardening for its unique minty smell. Thyme and sage can be found in most gardens and these herbs are favourites for flavoring soups, chicken, turkey, pork and sausages. Sage is sometimes grown for its beautiful blue spiked flowers. Both of these herbs have numerous medicinal properties. Lavender can be identified as probably the best smelling herb in the garden and is often used in candles, as a perfume scent, and to improve the smell in linen chests. The light purple flowers has a pleasant odour. The following herbs are also grown in this garden: They are borage, which is used in salads, chervil is used in egg dishes, sweet marjoram used to season lamb, fish, salad and soup, sesame used in crackers, cookies, and bread and dill which is used to season meats and is used in pickles. Aloe Vera plant is also a durable and succulent plant to be included in this garden. Some herbs grown in this garden are used to treat treat common ailments such as cold, headaches, or even anxiety. Therefore growing herbs is convenient and economical. 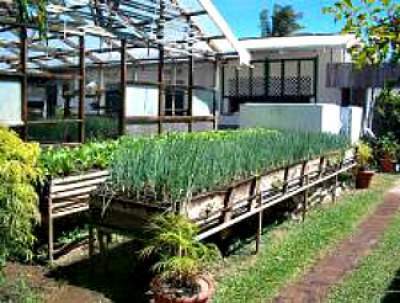 It is an excellent company to other gardens such as vegetable gardens as well as fruit gardens. It does not only add nice aroma to these gardens but certain herbs that act as insecticides, will prevent insects from destroying the crops. Therefore, it is always good to place your herb garden next to other gardens.